In an era of artificial style over actual content, of press, publicists and pushy people foisting all manner of rubbish into yer blogs and onto yer airwaves, we should appreciate Yeah Yeah Yeahs. The New York three piece have more fire in their collective rake-thin bellies than most. A riot of shiny shiny bobbed hair, caustic barbed wire guitars and neanderthal tub thumping, they’re a welcome and necessary interruption to yer Slaves and Sleafords and whoever else is flavour of the month. They rarely appear on any ‘Best Of…’ and ‘Essential’ lists, they hardly ever pop up in the 6 Music playlists and I can’t remember the last time they toured anywhere near here, but it’s perhaps for those very reasons that when I listen to them they suddenly sound more vital and necessary than any other band around. Their Is Is EP from 2007 (11 years ago already. Jeez!) is the one to go to. Five tracks long, it’s a snotty, arty and pretentious distillation of all that is great about the band. Vocalist Karen O drawls like the hipper, more street-smart sister of Chrissie Hynde with eye-bothering fringe to match. Brian Chase’s drums are loud and mighty in a John Bonham kinda way and perhaps the most vital ingredient in the band’s art attack. On opener Rockers To Swallow he manages to sound like Adam & The Ants playing When The Levee Breaks. Elsewhere, his cymbal splashes and gut-punching floor toms provide a suitably tribal back beat upon which Nick Zinner’s guitar(s) shine. A genuine original, he wrings seven shades of hell from his machine, with a cheesegrater-thin ear-splitting riff here, a feedback-soaked squeal there and a filling-loosening slab of Sabbath in-between. Yer actual Johnny Marr rates him as one of the current greats, having heard the band blasting noisily from his son Nile’s stereo. A couple of years ago I tried to swap a beautiful Yeah Yeah Yeahs’ tour book, signed by Zinner himself, for one of Nile’s dad’s guitars. He relented of course, but still left with the book. What did I expect? 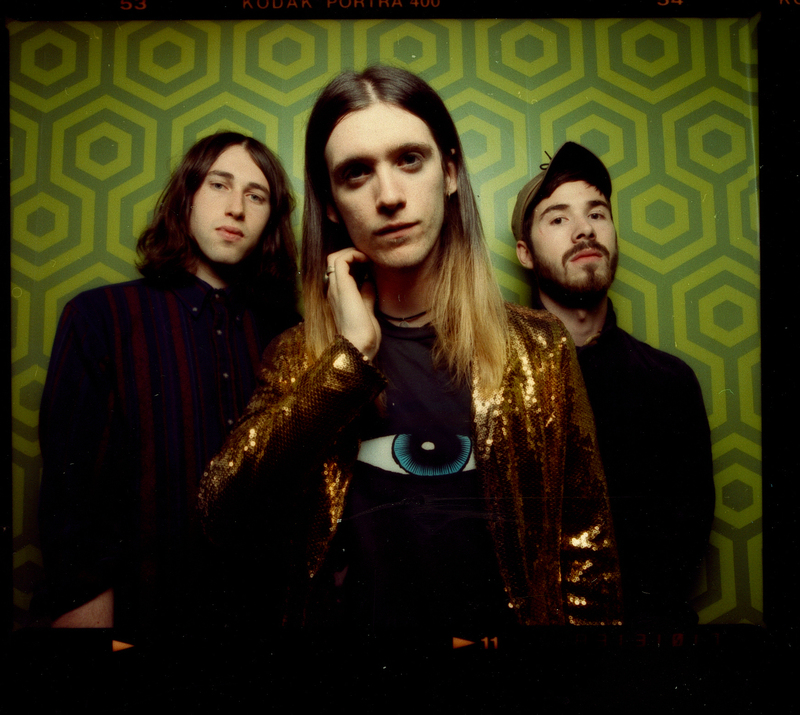 Nile Marr is the guitar player and vocalist in Man Made, one of the UK’s more interesting and most-likely to up-and-coming guitar bands. Arty, skewed and wonky riffs drive insistent, nagging songs about life and living in 2016. Theirs is a considered noise, with a real sense that although the guitars might occasionally veer left of centre, the melody is king. You’re never too far from a ‘woo-oooh‘ or a hookline or a repeating chorus. I think you’d like them. 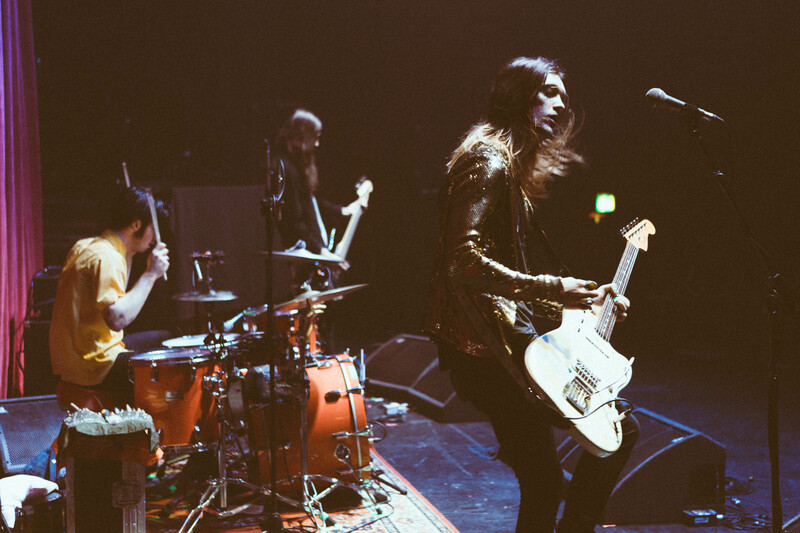 Man Made are currently on tour, promoting the imminent release of ‘TV Broke My Brain‘, their eagerly anticipated debut LP. *A wee aside. When I was younger, I remember my dad getting a pair of Adidas Kick and being really annoyed about it as he made mine instantly unwearable, even though I had to wear them as I had no other option. I spent my teens denying my parents’ record collection and being constantly red faced by the fact they’d been a working, gigging folk duo who had somehow famously shared the stage with Billy Connolly. In later years their Bob Dylan LPs would find their way into my record collection (they found them and took them back), and nowadays I’m quite proud of the Billy Connolly connection, but everybody needs to go through the ’embarrassing parents’ stage first, do they not? Not Nile though. Nile, as you are no doubt aware, has supreme indie rock genes. He learned to play guitar with the help of his dad Johnny, was constantly exposed to decent music as a child, was encouraged to discuss what was being played and grew up with the total support of his cooler-than-cool parents. He lived first in Manchester then moved to Portland when his dad got the call asking him to work with Modest Mouse. “Well, I still see him doing uncool stuff now and again, but can you imagine your dad joining your favourite band?!? I loved Modest Mouse. My dad said that he’d been asked to join them but wasn’t too aware of them. I was like, ‘Are you serious? You’ve gotta go!’. Growing up in the Pacific North West, in Portland, was fantastic. I was transplanted to a whole different music scene populated by musical heavyweights. I call my time in Portland my ‘Sponge Years’ – y’know that stage in your life when you’re trying to work out your identity and who you are, soaking up all those influences and deciding which ones fit you the best? Portland and its music scene really made me who I am today. For the first song on your first album, you’re putting yourself out there with a real statement of intent – “This is us and this is where we come from.” I miss being in America; the culture, the people, the scenery when you’re on those long drives. Hearing someone sing about that part of the world makes me feel like I’m there. Interestingly, the album in question is called ‘This Is A Long Drive For Someone With Nothing To Think About‘. But you probably knew that already. Broken Social Scene mean so much to me. Talk about records that change your life?!? Wow! I’d never heard anything like Broken Social Scene. Musically and melodically I’m just trying my best to do what they do. Making art in your head and have it come out the way you intended it to – everything I ever wanted to do melodically is in this song. One day…one day, I’ll write a song as good as this. This song is 30 seconds long but it’s one of the best songs ever. You can say everything you need to say, do everything you need to do in 30 seconds. Anything shorter is just silly. What’s amazing is that this is a fully-formed song. It’s so bad badass – girls are way harder than the boys. They do this stuff waaaaaay better than boys ever could. The first time I heard this song, it made me cry. I just couldn’t believe what I’d heard. This is on their first album, the one with the yellow cover. ’52 Girls’ is punk rock, but weird punk rock. Art rock. That’s what I want to do. I’m not an angry punk. I like weird. As a guitar record, this is fantastic. This is an instrumental. It’s all about the guitars. It came out of a live jam. It says so much musically about where I want to go; the weaving guitars, politically how they conduct themselves, no alcohol. There can be a real pressure to conform to that lad-sh, drinking culture. The band who don’t drink but are better than anyone else who does. Fugazi are the kings! 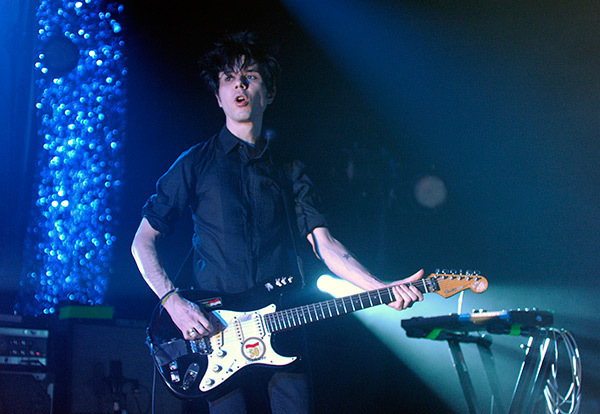 Nick Zinner is the best example of a modern guitar player. There’s no flash.There are no cliches. No rock poses. He’s the most unrockist guitar player around, yet Yeah Yeah Yeahs totally rock. The whole EP this track is from (Is Is) is so guitar heavy. They’re a real important band. So there you have it – 6 tracks of modern American punk that shaped Nile Marr into the musician he is today. 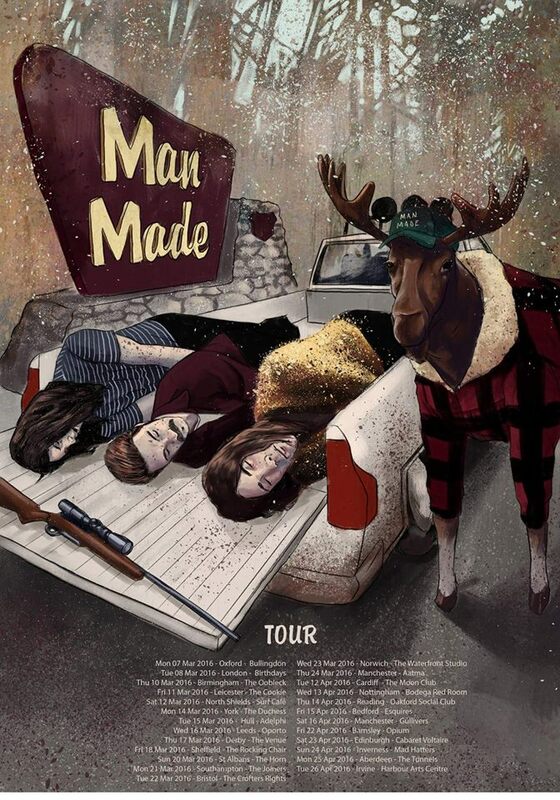 Listen to Man Made’s album (out at the end of April to avoid the Record Store Day “consumer-fest“around its originally-planned release), and you’ll spot all these references plus, with the occasional chiming guitar and lightly fuzzed two string riff, the odd tip of the hat to the old man. 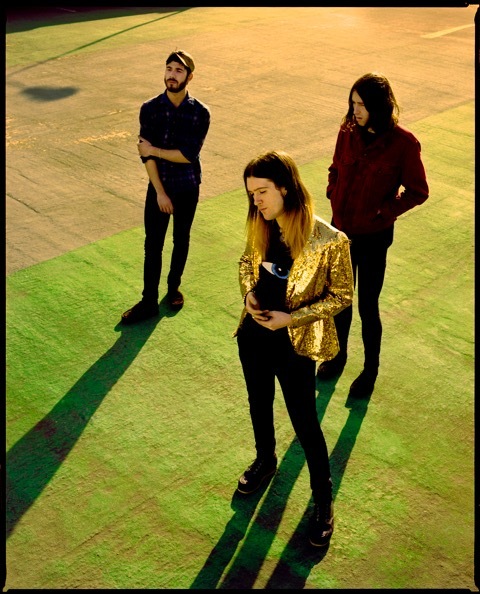 You can catch Man Made (and check out Nile’s new stage wear) on April 26th when they wind up their tour with the only west of Scotland date at the excellent Harbour Arts Centre in Irvine. Tickets can be purchased here. I’ll see you down the front. Ripping off Johnny? Off with their heads! Can’t get that new Yeah Yeah Yeahs single out of my head at the moment. ‘Heads Will Roll’ is cracking; hysterical vocals, electro rush and an outrageously shame-faced borrowing of the guitar riff from PIL‘s ‘This Is Not A Love Song’. Where John Lydon sneers, Karen O breathes. 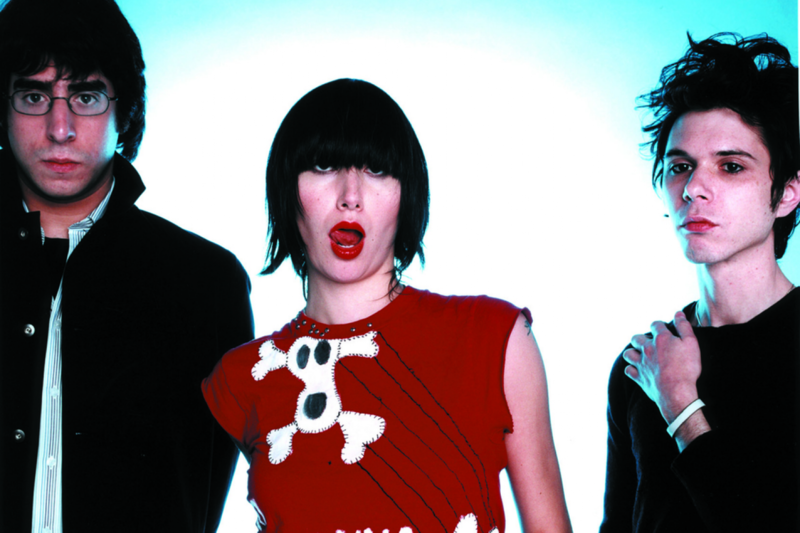 Where PIL throbs, Yeah Yeah Yeahs soar. But there’s no denying both are terrific songs, even if one borrows heavily from the other. The original version of ‘This Is Not A Love Song’ was PIL‘s biggest hit single, reaching number 5 in 1983. A remixed version featuring brass, keyboards and noticeably less guitar was released as a 12″. It was this version that prompted guitarist Keith Levene to leave the band. I don’t know what he’d have made of the Yeah Yeah Yeahs (cough) ‘reworking’ of the track – it too is fairly keyboard heavy. But for want of a better phrase, it rocks! *BONUS TRACK! French artist singing in English cocktail jazz re-working of ‘This Is Not A Love Song’. Covered by Nouvelle Vague. Fact 1. Pete Doherty would give his trilby-hatted skanky head to get this sound on one of his records. Fact 2. Nouvelle Vague’s version of Love Will Tear Us Apart is one of the most downloaded tracks on Plain Or Pan. Seek and ye shall find.